Share International trains indigenous missionaries and sends them back out to minister to their own people and villages in Turkana who haven’t heard about Jesus. Partner with a missionary to help take the Gospel to unreached villages! Make a one time donation to Share International. Please make a selection for your gift designation or write it in the memo box. Select the monthly payment box to support Share every month. Please make a selection for your gift designation or write it in the memo box. All donations to Share International, Inc. are tax-deductible. 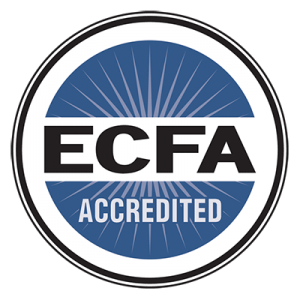 Share International, Inc. is a member of the Evangelical Council for Financial Accountability (ECFA). Twenty percent of your donation covers Share’s administrative costs incurred to implement your desired ministry support and Share’s general budget. It has been a walk of faith in this ministry since 1989. God has used His people to help us minister to thousands of souls without hope, with many of them surrendering their lives to Christ as their Savior and being baptized. Between 1997 and 2018, Share-supported missionaries and STORM teams had planted 356 active churches throughout Turkanaland! With our increased number of trained missionaries, Share has targeted and plans to reach and plant churches in 330 villages by 2021 at $2,000 per church plant. We request you to consider giving towards this cause. Four people giving at a $500 level each can plant one church! The weekly Share staff-led ministries, vis-à-vis, spiritual enrichment (fellowship, Bible study, sacraments, biblical principles for personal spiritual growth, giving…), physical nurture (health education, sanitation, hygiene & income-generating training projects), and leadership development among men, women, and children at Block Centers will continue to enhance holistic growth across Turkanaland. I believe God wants to do even more. Please join me in trusting Him as together we reach deep into the resources He has placed at our disposal. Your generous donation at this critical time will make it possible for us to continue to do “greater things than these”. We will continue to equip and deploy indigenous missionaries who will proclaim the Gospel and establish disciple-making, holistic congregations throughout Turkanaland. Director of Share International, Inc.